Today will be a very short post as I don't have very much new stuff to share with you all. I hope there will be a little more to show you next week! We are almost dry and covered again! 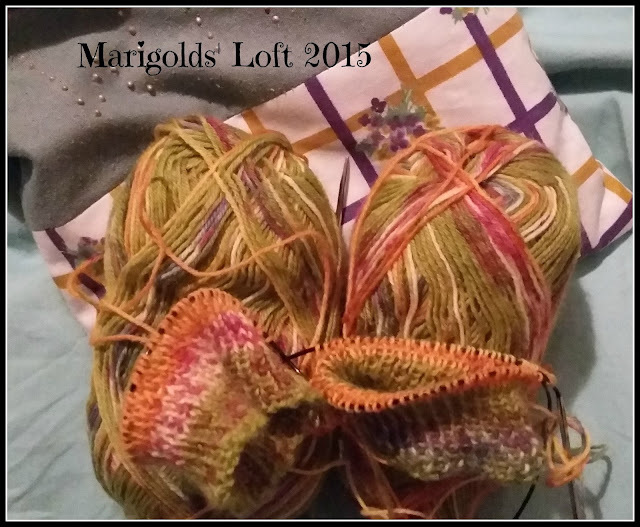 When I am not busy helping hubby on the house, I am creating goodies for my upcoming winter market. This is such a busy time for me, as I am sure for everyone, but this year I really feel like I am burning the candle at both ends! Are you feeling like this too? 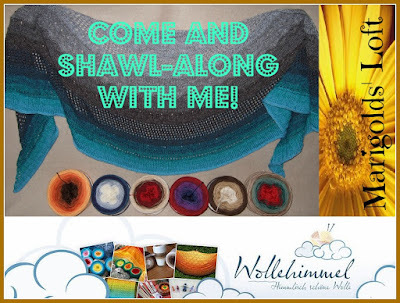 I can't wait to get going with my Shawl-Along next Monday. Do come back on Friday and share your FOs with me, I would love to see what you have managed to finish. Yes, that is the only way I will knit socks these days! I suffer greatly from the second-sock syndrome and this makes that problem disappear completely. to be quite honest, anything that comes in two I knit like this - socks, cuffs, and even sleeves! Your socks look lovely and cosy and I love the stripes.